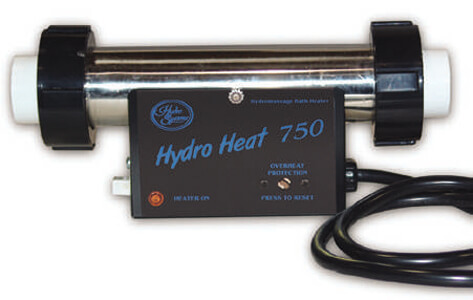 750 Watts of heating to keep your spa warm. 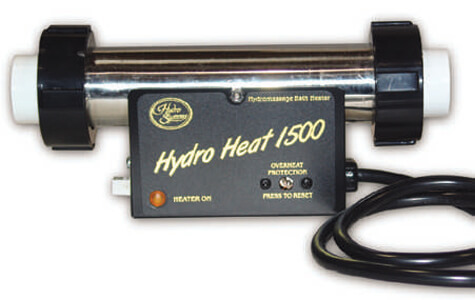 1500 Watts of heating to keep your spa warm. For centuries cultures in Europe, Asia and North America have understood the benefits of natural hot spring soaking for temporary relief of aches and pains, and as a remedy for many other illnesses. Today you can bring these wonderful benefits right into your home as part of your personal hydrotherapy experience. 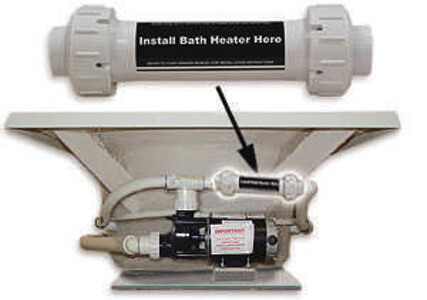 One of the three principles of hydrotherapy is heat, often referred to as hydro-thermal therapy. Immersion in hot water raises the body temperature and causes blood vessels to dilate, improving circulation and helping melt away aches and pains. Of course everyone’s body will react differently to various forms of hydrotherapy, but the following is a basic breakdown of what you might expect from a typical hydro-thermal therapy session. After 12 minutes your muscles will begin to relax and your body tissues become more flexible, which may aid in the release of toxins from your system. After 15 minutes many people find temporary relief from minor aches and pains. Please note, if you have a medical condition or are pregnant, consult with your physician before starting any hydrotherapy program.